Magento Shipping Per Product allows assigning individual flat rate shipping per product in Magento store and charges shipping for every item differently. Set the default shipping rate. Add the custom title and method name. Allows hiding method if the shipping cost is zero. The Magento store owners face difficulty using shipping calculators many times. When there is a variety of products in terms of weight, shipping locations, value, and carriers, the shipping calculators are of no use as it gives wrong results in the shipping charge calculations. Also, sometimes drop shippers charge more than required for lighter products and less for heavier ones. To overcome these drawbacks, Meetanshi has developed Magento Shipping Per Product extension that allows charging flat rate shipping per product. Magento Shipping Per Product extension is the tool used to charge flat rate shipping for each product when the shipping calculators charge incorrect shipping rates. It allows setting default shipping rate per product and also allows hiding method if the shipping cost is zero. The Shipping Per Product for Magento is not limited to any number of products in order, neither product types. 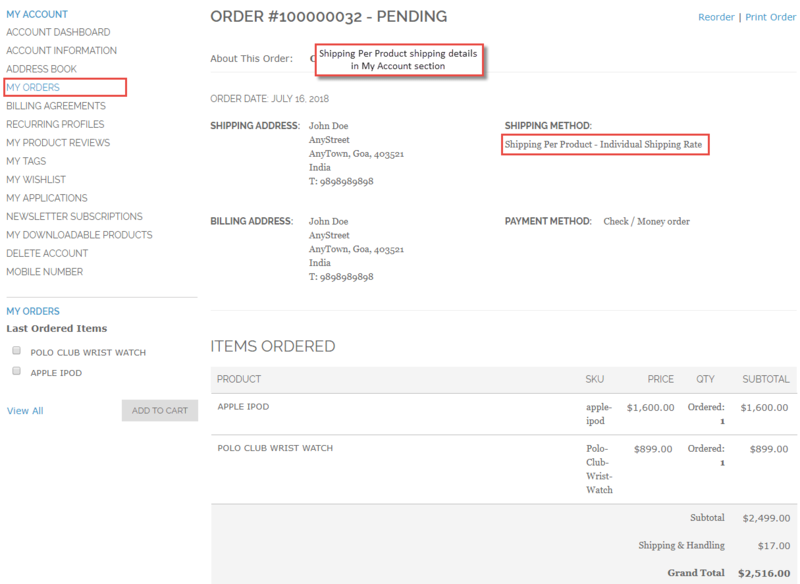 Set the custom title and method name and apply shipping charge per item transparently on orders. 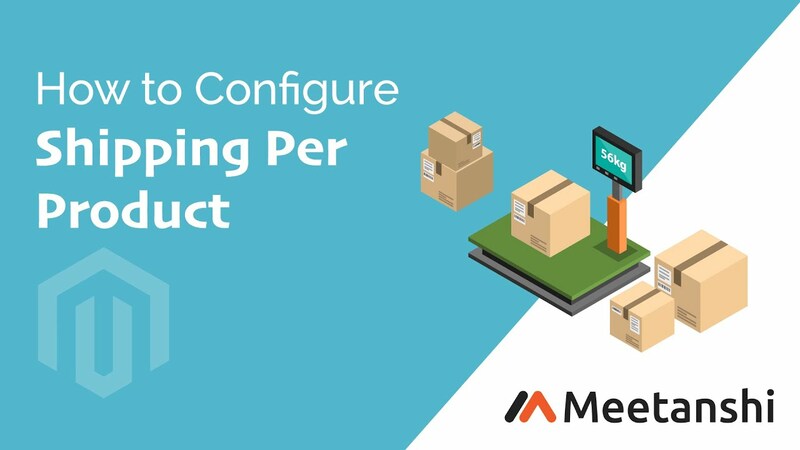 Apply the most feasible shipping charge with the help of the Shipping Per Product for Magento module! Set the individual flat rate shipping charges for each product in the Magento store. Specify the default shipping rate to apply when individual products are not assigned individual shipping charge. Option to set custom title and shipping method name for the display of this shipping method in the frontend. Option to hide method if the shipping cost is zero. Set the default error message for the unavailability of this shipping method to users.